Home » Category "Expert advice and tips"
Last week a few Ready Steady Mums hit the supermarket with dietitian Laura Clark to myth bust their way through the aisles. Laura our nutrition expert shares the highlights from the tour. Laura: Supermarkets bombard you with a variety of messages from the minute you walk in. The choice can sometimes feel over-whelming especially when you have a baby in tow and you might be feeling a little sleep deprived. Variety is the key here and aiming for the magic 5 a day. A portion is generally what you can fit into your cupped hand. Don’t worry about calories – any unadulterated carbohydrate food should take up a 1/3 plate as a portion. Carbs should form part of every meal and there’s no need to stop eating them at a certain time of day. Try a variety of ‘breaded’ products e.g. wholemeal pitta, tortilla wrap, crispbreads e.g. ryvita, bagels. Breaded products with lots of seeds will have a higher calorie content – not a problem unless you’re trying to lose weight. …Can be very confusing. The best advice is to not let the label trick you! Look for the words wholegrain. Be aware toasted cereals and those with a high quantity of nuts are going to be high in fat. Some cereals have a surprisingly high amount of sugar but as long as they aren’t coated in sugar or containing a lot of dried fruit, then this isn’t a bad thing unless you’re conscious about calories in an effort to lose a few pounds. Making your own muesli is a good idea – oats, handful of dried fruit, handful of seeds. Dairy is a really important food group for women to maintain peak bone mass. Dairy is high in fat but is an excellent source of calcium and vitamins. Women need 3 serves of dairy a day to meet their calcium needs. A serve is 200mls milk, 1 pot yoghurt or a matchbox of cheese. Choose low fat or fat free yoghurts for you as these have a lower overall sugar content. Choose full fat dairy foods for baby but still aim for saturated fat to be under 5g per 100g. A matchbox size of cheese is a portion – the highest fat ones are the hard cheeses e.g. Cheddar, Babybel, Stilton and Emmental. Healthier cheeses include Edam, feta, Haloumi, half fat cheddar, ricotta, mozzarella, cottage cheese and soft cheese. Cheese is very nutritious and part of a balanced diet but you do need to be a little careful of how much you have. A nutritious protein food – no need to limit amount over the course of a week. An excellent source of protein and fibre which can be added to soups and main meals for extra nutrition. Variety is key – palm of hand is a portion for you and it’s good to have oily fish at least once a week. Do not avoid red meat but choose lean cuts. Becca Wickham was with me for my son’s birth, and she’s amazing! She is a qualified and recognised Doula, having trained with Paramana Doula, and supports mums before, during and after childbirth. Today Becca shares her advice on coping with, and recovering from childbirth. 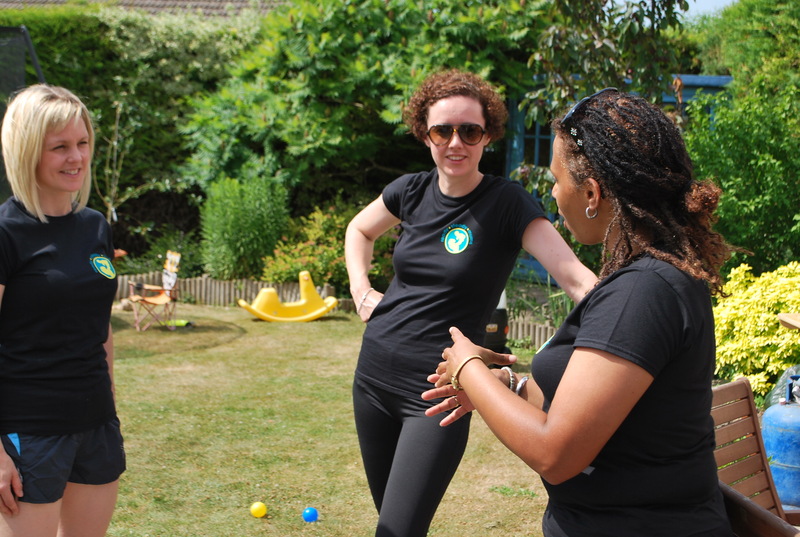 She draws on her experience helping women to prepare for birth, attending the birth and following-up with mums to make sure they are recovering afterwards. 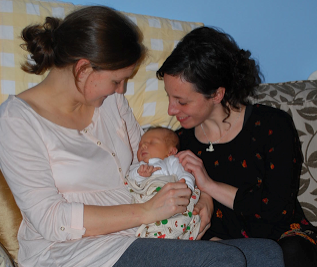 Q: How does a Doula support mums before, during and after childbirth? Becca: I provide advice and guidance on how to prepare for birth, physically, mentally, and emotionally. This can include devising and writing a birth plan, giving massage or yoga tuition, and talking through fears, concerns and wishes. Then I offer emotional support and act as the mum’s protector during the birth itself. Then afterwards I help women to regain control and feel like themselves again. Many mums find their attitude to themselves changes throughout pregnancy and birth. Often they feel an instinctive need to look after themselves more, even if they’ve never focused on fitness, well-being and health before. On the other hand, lots of women who are used to having a lot of control in their lives can find motherhood entirely unfamiliar, and even feel quite lost. My job is to help mums navigate through by being a consistent, caring support. Q: How do mums usually feel after giving birth? Becca: Birth is a challenge, physically and emotionally, whether yours is a walk in the park or an absolute slog. It’s the most amazing thing your body will ever do. Mums may feel overwhelmed by the experience of birth – then add to that the challenges of breast-feeding, a lack of sleep, rushing hormones… Most women say they never predicted how much their body would feel it had changed. They want to do something to feel better again, but it’s often tough just to get started and get active. 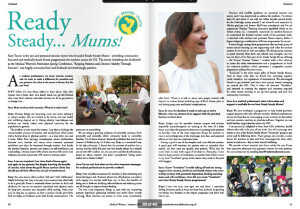 Q: How can mums actively embrace motherhood from day 1? Becca: Most of the mums I have worked with are really grateful for a massage or a hug. It sounds really simple, and it is! Just a way to help mums start to feel better in their new bodies. I also always recommend getting out for a walk as soon as mums feel able (even if it’s snowing like it was when your baby was born Katy!). Mums need to understand that the more relaxed and happy you feel in yourself the better you’ll get on with motherhood. Give yourself the time and space to do whatever you love doing. Ask for help and take time out to walk, sing, cook, surf the Internet, read – whatever works for you. If you can find activities you enjoy to do with baby too you’ve solved a key early problem. Try dancing round the kitchen?! Just because you’ve had a baby don’t think your needs no longer exist. I’ve seen women act like they’re under siege. They think they’re solely responsible and guilt is such an issue. Loved ones and friends are critical in many ways, ask them to help. So many mums neglect themselves because they feel that their entire raison d’etre is baby. Keep up friendships and positive activities. 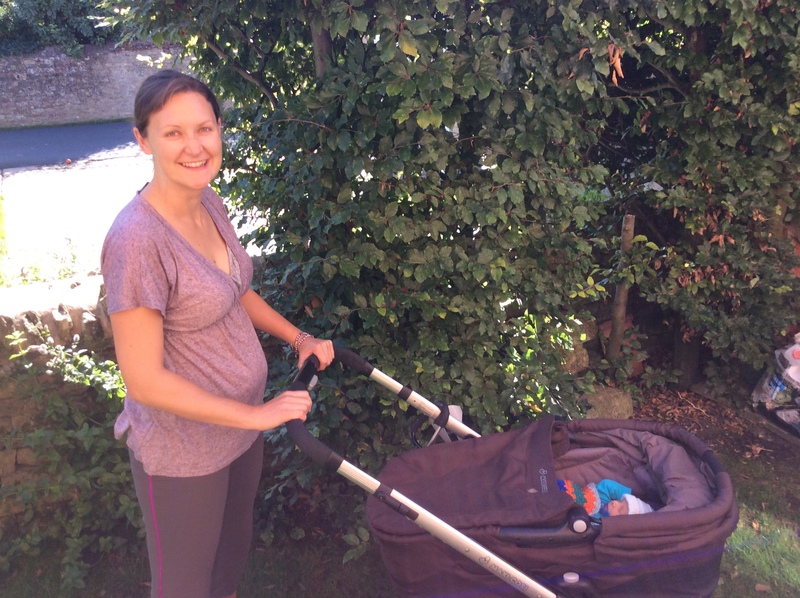 Q: What is your top body tip for new mums? Becca: Be proud of yourself, your baby, and your body. Stay positive and don’t beat yourself up! If you’ve put on a lot of weight, or think your body has changed beyond recognition, don’t worry. You’ll build it back through progressive exercise and healthy eating. Just take the time to do it properly. Eating and exercise BOTH need attention in our quest to be fit and healthy – as we all know very well. 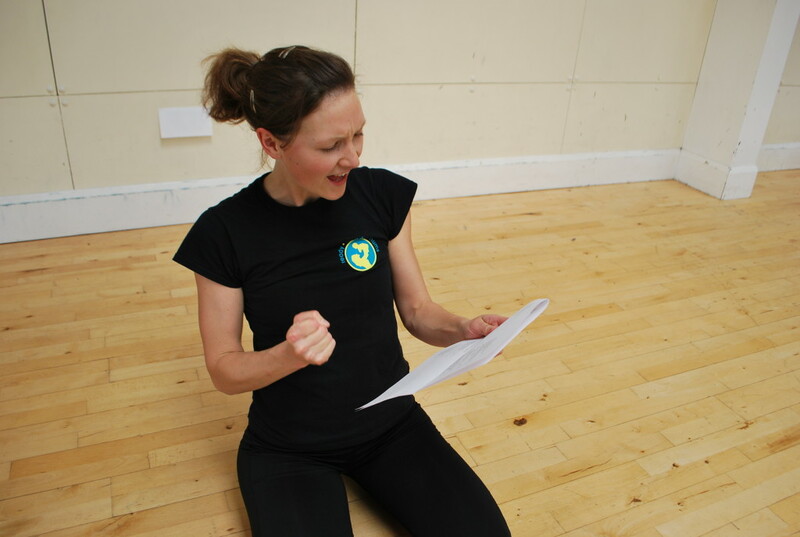 Laura Clark is a registered dietitian specialising in nutrition and women’s health including weight management. She combines her nutrition consultancy with part time work in the NHS, and actively embracing motherhood. Laura’s recommended approach to eating is very effective, and best of all it’s really do-able. She believes that you’ll take care of yourself better with a practical, realistic attitude. 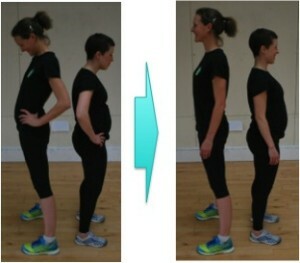 Q: As a new mum yourself, what advice would you give to mums who are keen to get back to their pre baby weight? Laura: Most importantly, keep it simple! You constantly need to put your little one first, to think of a hundred things at once, to survive on less sleep – and now is not the time to also be trying to follow a complicated diet that involves any sort of mathematics. Q: Great, so what simple changes to our diet would really make a difference? It has been proven without doubt that people who eat breakfast are leaner than those that don’t. Breakfast time tends to disappear in the foggy haze that is the first few hours of the day with a baby, but it is essential to make grabbing something a priority. If you’ve no time to sit with a bowl of cereal or toast, go for something a little easier to eat whilst multi- tasking – a cereal bar, banana or malt loaf. Breakfast literally breaks the fast and kick starts your metabolism for the day. Have you noticed as a new mum that there’s no such thing as a meal time anymore and that you are tending to graze on food throughout the day? This may also be because you have easy access to the kitchen? Or maybe it gets to 7pm and you realise the last time you ate was morning? Grazing might seem like a good idea but in actual fact, you are likely to consume more as unbalanced snacks and ‘a bit of this and that’ will lurch you from one sugar high to the next. Going long periods of time without food isn’t great either – if you’re not hungry for food about every 3-4 hours, it’s a sign your metabolism isn’t working efficiently leaving you more prone to overeating when the sun’s gone down. I know I said it’s best to avoid mathematics when making dietary changes, but hopefully our sleep deprived brains can still manage to count to 3! Try to include a food from the 3 most important food groups at each meal – a carbohydrate such as wholegrain bread, pasta, cous cous or rice, a protein such as fish, chicken, eggs or baked beans and some fruit and/or veg. It doesn’t have to be perfect, just balanced for improved well-being and satisfaction! For example, try cream cheese on toast with some cherry tomatoes or hummous with pita bread and carrot sticks. When looking at your plate the 3 food groups should cover equal proportions and to help with portion size, choose a smaller plate! Calories we drink often get forgotten. The average milky coffee contains over 200kcals with the ‘skinny versions’ containing over 100kcals. This can soon add up over the course of a week, especially if you have a lot of friends! Q: I love the common sense of it all! And you’re saying we SHOULD have 2 snacks a day? So snacking is not all bad? Laura: Excessive unhealthy snacking will of course make you prone to weight-gain, but planned, healthy snacks are essential to keep your nutrition topped up and help to keep your metabolism pumping until your next meal. Good snacks include plain popcorn, fruit, low fat yoghurt or a crumpet with low fat spread. Q: When is a good time to start dieting? 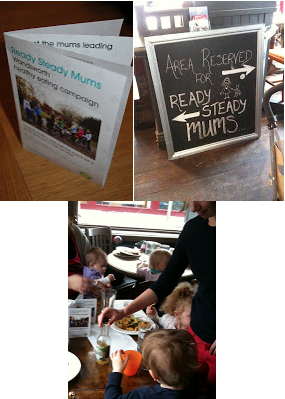 Lots of breast-feeding mums worry about their milk supply for example. Laura: If you are a very new Mum now is not the time to be restricting your calorie intake too much (can you hear me celebrities?!). However, it is a myth that you should over-indulge with doughnuts and cakes to boost your milk supply. All Mums need a healthy, nutritious diet to give them essential fuel and nutrients and when breastfeeding additional calories are needed. However, this additional energy can be achieved through a slightly larger carbohydrate and protein intake at meal times and nutritious snacks such as cheese and biscuits or a milky drink. Medical evidence suggests the most important factor for milk production is in fact hydration. Drink a glass of water every time you feed and whenever you are thirsty in between. I hope you enjoyed my expert nutritional advice just for mums – I provide consultations in Earlsfield or by phone for busy mums, for more check out my website www.lecnutrition.co.uk.